Whenever we give any stimulating signs such as sounds (voices), pinching (needling the skin), light (view with eyesight), heat (whether hot or cold through skin), our brains work and show signs of emitting signals or waves. 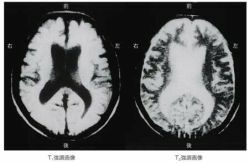 This can be evidenced and monitored by CT scan. Patients suffering from “dementia” or “Alzheimer's disease” do not emit signals that are right or correct. Meaning, there are no right reactions even if we try to stimulate by speaking, pinching, or showing some pictures to patients. That's how we may consider or think that they are getting old. Yes, they may be or we can think that at some point in time they are at “vegetable state” or “in coma”. This is the reason they do not react to our questions, instead they come out with nonsense voices and actions. That is because a certain part of the brain is unconscious or what we call partially “persistent vegetative state” or PVS. Anyway, we recommend you to undergo medical consultation at early stage so immediate attention can be applied. At first, we recommend very simple exercises like repeated opening and closing of your hands as often as possible. Also, follow the illustration below as often as possible. These exercises will stimulate your brain and will make you remember the past well. These exercises are not only for sick people but to everyone else to help prevent brain aging. Why do we say that repeated opening and closing of your hands and the illustrated feet exercises are good for dementia and Alzheimer's disease? This is because we have several records gathered from patients who are at vegetable state that are recovering and recognizing memories. Are unconscious patients or patients in vegetable state doing such exercises? Of course, unconscious patients cannot exercise. 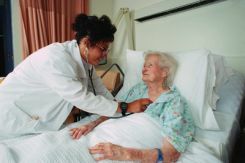 Therefore, their guardians must help let the PVS (persistent vegetative state) patients move their bodies, feet, hands, fingers, and necks every day, probably for more than three months or even for a lifetime. 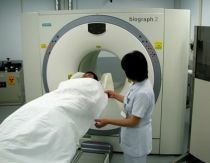 During these three months, the doctor monitors the patient's brain through CT scan, then although very minimal they notice that the patient's brain is working and emitting signals. This gave doctors an idea of placing tiny electrodes implanted inside the spinal cord near the brain and send signals several minutes every day for three months. Amazingly, the result was the same as the exercises mentioned above. After years of trials, some of them recovered and woke up to answer questions, although 100% recovery is not attained. 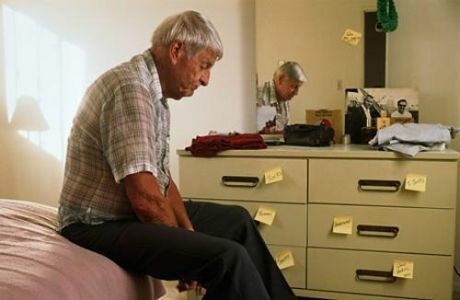 The very same process was applied to many patients who suffer from dementia, Alzheimer's disease, and vegetable state. Did you know that exercises produce static electricity around the body? Is it not the reason that athletes or people active in sports can keep their health well? We applied the PYRO-ENERGEN static electricity to several patients, then we were able to observe rejuvenated brain functions through CT scan. To those who want to cheat various diseases especially those who suffer from dementia, Alzheimer's disease, and vegetable state at old age, let us exercise! You will get amazing results. Now, you might feel some sudden fatigue or laziness. Yes, it is something like side effects of exercise but do not worry about it. It might be just Herxheimer reaction, often referred to as the “healing crisis”. Many people have experienced such incidents but it is actually a sign that the body is restoring itself to good health. You may have noticed that you feel fresh and healthy while you're in the forest, field, riverside, near waterfall, and farmland. This is because friction of air around the fields produces static electricity. Clean atmosphere that surrounds you makes you healthy. The PYRO-ENERGEN produces negative static electricity that makes you healthy. Alzheimer's disease, dementia, and many other diseases will be eradicated in a short period of time by negative static electricity produced by the PYRO-ENERGEN.